CaixaEscena and La Mandarina de Newton have been working together with the aim of creating a pedagogical kit that could be used as a new and innovative tool when sharing and educating dramatic arts topics in the classroom. In order to do so, we found it essential to have the collaboration of theater professionals and teachers from other disciplines during the different phases of the process. For that we have organised three co-creating sessions with professionals from different areas of Spain. These sessions started in Murcia (January 24) and this first workshop was a meeting for brainstorming and ideation. There was an interesting discussion on how theatre can be helpful for academic performance, the generation of debates and the personal growth (improving the self-esteem and the perception of others). Nearly a dozen participants assisted the workshop and it was really inspiring. 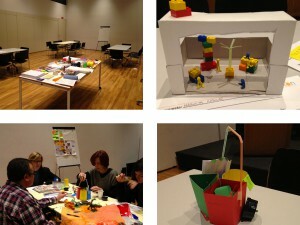 The second session took place in Madrid, on February 20, and it focused on the prototyping process. Ten participants nailed down the ideas generated in Murcia, added the online proposals, and all ended up combined in two different kit prototypes. After these two workshops La Mandarina de Newton worked on the two designs proposed by the participants and was able to integrate both of them into a single prototype kit. Finally, the last workshop was held in Barcelona, on March 20, and the attendees tested this prototype and gave feedback and new ideas in order to improve and extend it. Now, with all this material, and with the help of theater experts and specialised designers, we will keep working on the prototype in order to achieve the final design of the CaixaEscena Pedagogical Kit. We’ll keep you updated on our progress! La Mandarina de Newton starts a new collaboration with Obra Social “La Caixa” within one of its educational projects, ‘CaixaEscena’. CaixaEscena is a program that aims to support to the teachers who promote theater at their schools, by encouraging the exchange of knowledge between them and theater professionals. Through different activities for both teachers and students, CaixaEscena is a participatory project that proposes theater as a tool for cultural, social and educational development of young people. This year La Mandarina de Newton will be the entity responsible for the organization of a new series of workshops within this educational program. The goal is to share the knowledge generated during the previous activities and give it a new form that will allow to expand and share, in a useful and intuitive way, that knowledge – a pedagogical kit. Over several co-creation sessions with teachers and theater professionals, we will be creating the basis of the didactic contents of that kit and which will afterwards be produced by CaixaEscena, along with specialized designers. This kit will then be available to both workshop participants, as to any other teacher that want to use it. Workshop 1: Ideation and prototyping. Together we will create the basis of the didactic contents of the kit. Workshop 2: Content sprint. To identify and produce the main contents of the kit. Workshop 3: Testing and final validation. Improvement suggestions and final presentation event. All participants will be acknowledged and cited in the final design. Participation in these workshops is open to all professionals interested in participating. Registration is free and the places limited! To confirm your participation please contact us via email: espai@lamandarinadenewton.com. 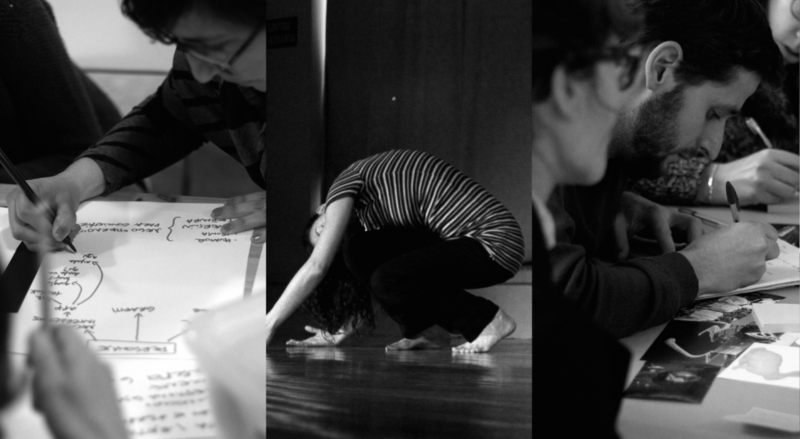 La Mandarina de Newton, is the entity that collaborates with CaixaEscena, devising, coordinating, producing, executing and analyzing these sessions. If you have any further questions, comments or suggestions, please do not hesitate to contact us!